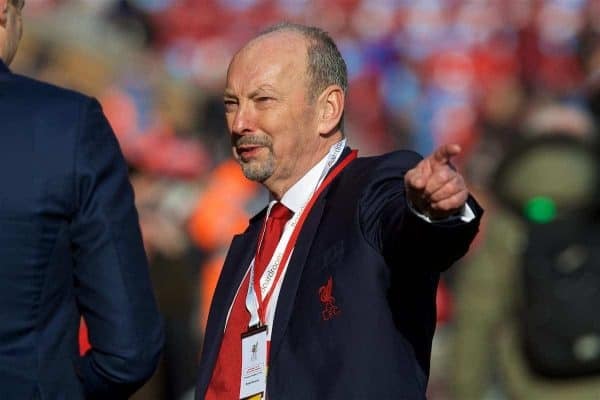 It’s over a year since Peter Moore was appointed as chief executive at Liverpool FC. We met with him to discuss the role, the challenges he’s faced, and the importance of the club to its community. Having lived in Garston in south Liverpool as a boy, Moore made his name across the Atlantic while working for some of the world’s biggest tech giants. Returning to his home city after almost 40 years away has been a period of acclimatisation, swapping the Californian sunshine in Silicon Valley for the differing climes that Merseyside offers. Moore took up his role ahead of the 2017/18 season, but admits it was a decision he thought long and hard about having lived in America since the age of 25. He is, effectively, American, so moving back to Merseyside takes some adapting – something that is often overlooked in football when players move from another country, or continent. During the recruitment process, Moore and Michael Gordon – FSG’s key man at Anfield and Moore’s boss – discussed extensively whether it was a plus or minus that Moore was from the city. “We got deep into the psychology,” Moore explains. “Whether it was good to be from Liverpool so you understand the people, city and mentality, having been a Red since 1959, or does it become a lightning rod for negativity should things not go right? “Or is it better to be dispassionate, not emotional and not in any way linked to the way the team is playing, because I’m responsible for the business of football? “I think it’s a plus because I’m a Scouser. I understand Liverpool and I can relate to the people. I try to use that institutional knowledge to my advantage, but it can have its pitfalls. “This is a magnificent city and one of the things I’ve learned in the job is that this role has civic responsibilities. Not only to the football club but to the city and its people, continuing to make it a better place. I relish doing that. With Moore’s appointment last year, it signalled the final change in FSG’s structure of the club’s hierarchy. 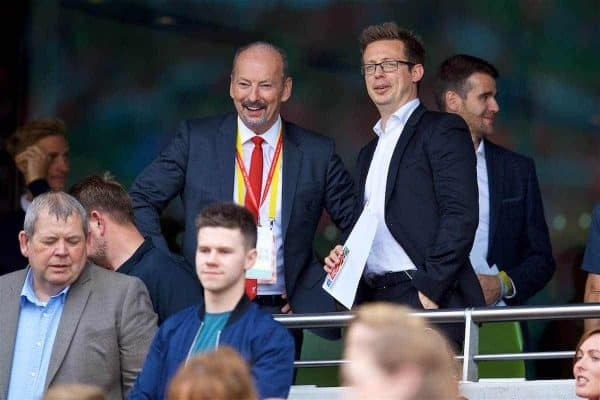 His role differs from former CEO Ian Ayre as he does not get involved in football, transfers or wages, which is now the job of sporting director Michael Edwards. “You have to be aligned – everybody has to understand their role,” Moore says. “You start at the top with the strategies you are going for, how you do it is the underpinning underneath, making sure we can complete at any level, with any club in the world. “It’s about putting our fans first and everything we try to do has that lens and that focus. “It’s about one team, whether you kick a ball for this club, you’re a steward, you work in communications or you’re the CEO – we’re all marching towards one thing: success on the pitch. “Kirkby redevelopment is a great example. “We’ve got to drive revenue and catch up with some football clubs,” says the 63-year-old. “So we can continue to invest on the football pitch. 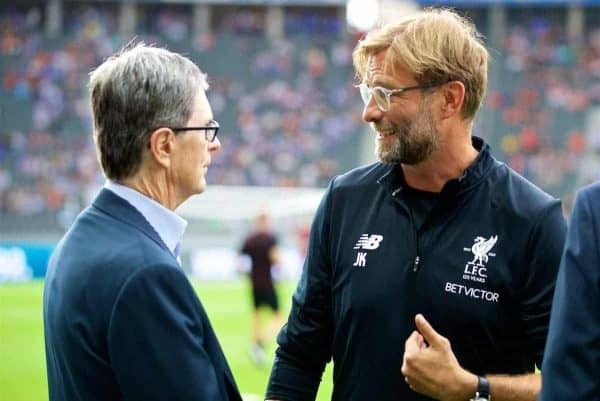 “From that perspective it’s my job to make sure we continue to drive the revenue that allows Liverpool to be one of the most attractive football teams in the world. “The success on the pitch, which has nothing to do with me, has been brilliant. “What is to do with me is how you take that success and continue to make sure it’s consistent year in, year out, like we used to be. When he was first appointed, the new Main Stand was a year old but there had been strong reports suggesting a naming rights partner, so is this something the club are still pursuing? “I wouldn’t say we’re pursuing it,” he admits. “When the Main Stand was initially being built there were proposals originally but clearly it didn’t go anywhere with a brand or a company that we felt we wanted to be associated with. 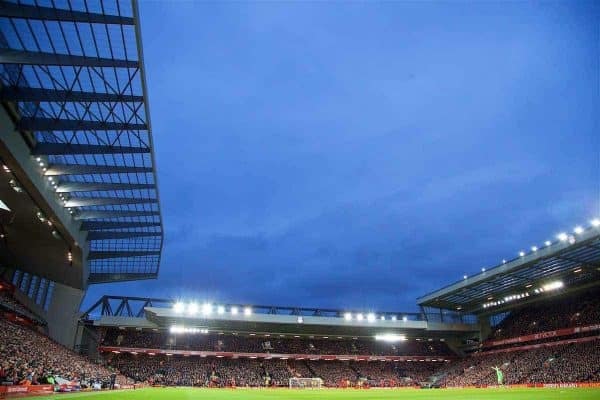 With Anfield’s capacity now at 54,000, supporters are keen to see the development of the Anfield Road End in what is phase two of Anfield’s overall expansion plan, for which the club currently have a planning application that expires in September 2019. “We’re constantly looking and reviewing,” Moore notes, but says: “there is a lot of work to be done before we are in a position to make a decision of that magnitude. Moore, though, understands the needs of the local residents in the process, saying: “Our football club takes its community obligations very, very seriously and will continue to do so. “The core focus is right here in our own backyard because that’s where the greatest need is. “We are making sure that we do cause the least level of disruption to the local residents, but also give back to them. “Food poverty and social deprivation are both key things, as well as supporting foodbanks and feeding schoolchildren, in particular. Some of the most impoverished postcodes in the UK are right there and for us as a football club we have an obligation to give back. 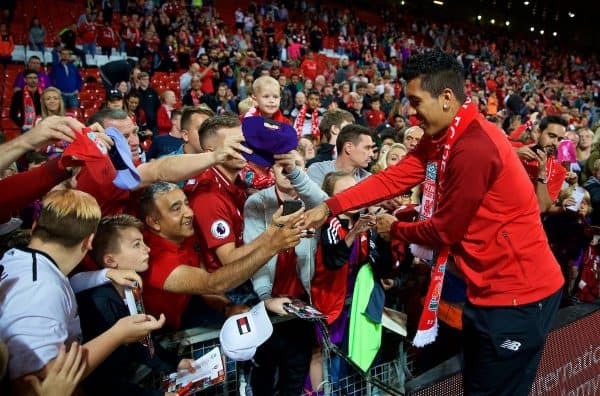 Over the past year, there has been a perceived shift in the engagement process at the club, with the first-team providing more opportunities to meet with fans, particularly at the pre-season games in Dublin and Anfield. 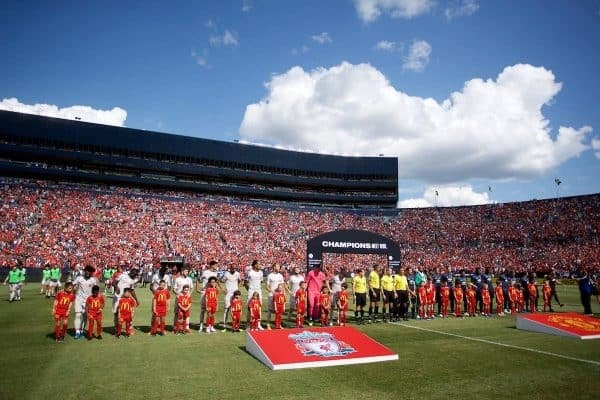 Moore speaks of the pre-season tour to America, where 101,000 fans attended the Reds’ friendly against Manchester United – with, seemingly, more than half of those in attendance supporting Liverpool. “There’s a history of success and the entire soup that is Liverpool Football Club, the ingredients that go into it – Shankly, Paisley, Anfield, You’ll Never Walk Alone, Dalglish, Fowler, and in my day St. John, Hunt, five European cups. 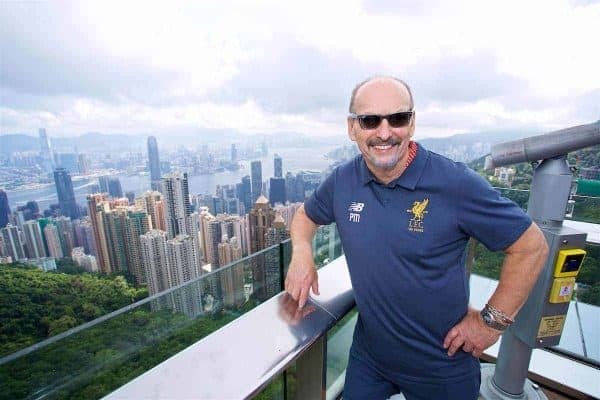 Despite living on the west coast of America, Liverpool remained part of Moore’s life; from getting up at 4am for the early kick off games; to brokering a kit deal with the Reds while at Reebok in the nineties; to watching the new Main Stand being built on a webcam each morning. 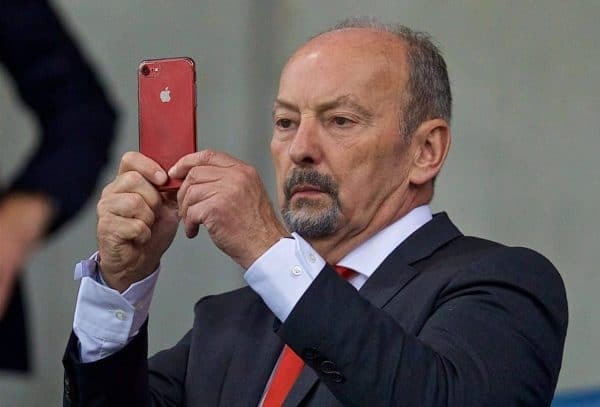 Having made his name in business working for tech giants including Microsoft, Sega and EA Sports, Moore is now leading the technological improvements at LFC. “We try to engage people through content. We have a massive investment that FSG has made called Fan Connect which I drive, which is building fan engagement through technology to bring them closer to the club. All those years in the USA, where everything is bigger, including in sports, has given Moore an American mentality when it comes to fans. “I learned American business tactics, the slickness of American sports stadium environments, how you engage with your fans, how the players should react to certain situations, and that you have to be open and communicate. “I met Steve Jobs when Apple was in trouble and I was at Microsoft. I watched his style like many people did and there are many that still model their business practices after his…. “I was the face of Microsoft for the Xbox, more as a personality, but somebody who could drive home messaging. Speaking of communication, we discuss the merits and pitfalls of being on Twitter. “There was a conversation about deleting my Twitter account – not many, if any, Premier League CEOs are on it. “I wish I was able to do more. At times you can’t provide answers without opening up all kinds of other issues. “I will look at tweets that are catching people’s attention. I’m taking that information and making people aware of it. “It is a platform to engage, when appropriate, and a way of knowing what’s going on 24/7. Twitter does, though, have its issues. “I’ve been called everything, but I shrug my shoulders. I rarely, if ever, block anybody, because that’s what they want. “The Scouser in me would be on Twitter all day long fighting with people but that’s just not the CEO that I need to be. 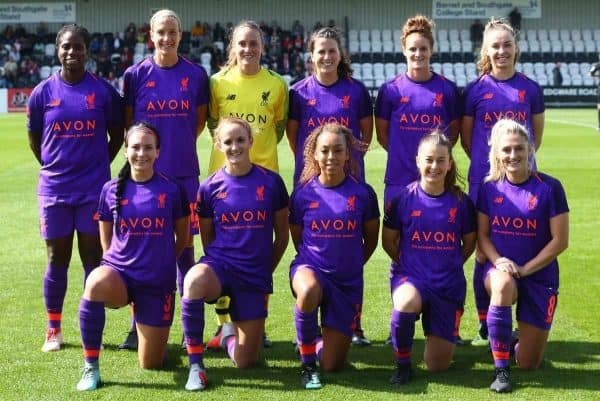 Another area that Moore is hands-on with is the development of the LFC Women’s team. Again, his American influence is helpful here, with women’s soccer being much bigger Stateside than in the UK currently. “I first went to a really big game in 1992, when I started to work for Reebok. Players caught my eye not just as soccer players but role models for young women. “I have three daughters, all of whom have been involved in sports and many point to the [US] women’s national team [as inspirations]. 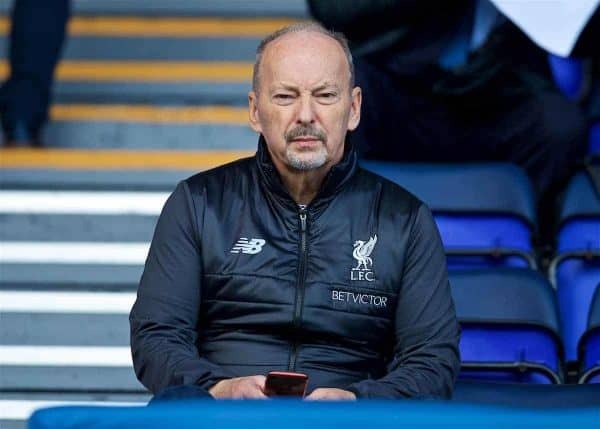 The LFC Women’s team reports directly to Moore and he is responsible for the hiring, firing and managing at that area of the club. There have been some “rough periods” recently he admits, with Neil Redfearn quitting his post after just one game in charge, but Moore is clearly enthused to have long-serving Vicky Jepson now installed. “I’m a massive supporter of what a women’s team can do for young women primarily as role models and as people you aspire to. One of the changes Moore has overseen is a move from the Halton Stadium in Widnes to Tranmere’s Prenton Park. “The first time I went to see the team play, I said we need to get closer to Liverpool and build a fanbase. The American model: suburbia, parents who understand the value of what having powerful role models can bring to their daughters and sons. “I’m delighted we finally got a home at Tranmere Rovers. It’s a perfect stadium. 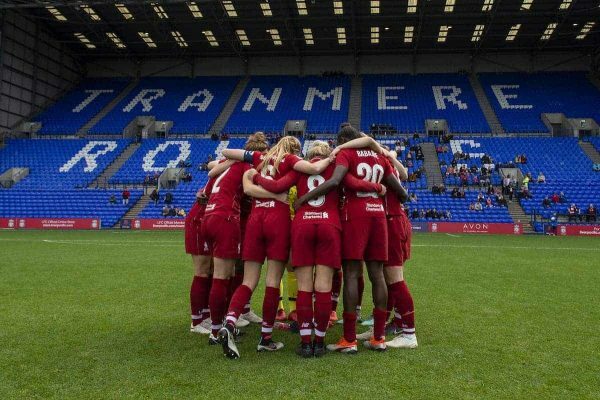 “It’s important young women of Merseyside have somewhere to watch women play sports at a high level. “I always get disappointed when I see ill-informed people knock it because ‘women can’t play football or ‘it’s women’. I go to as many games as I can, and I’ll tweet every now and again, and you see the most disappointing reactions to that. “It is engaging, skilful and strategic football and I enjoy and love it. The closer you get to the team, which many of the fans do, understanding the players and the personalities, it’s no different. It’s just women playing, not men.